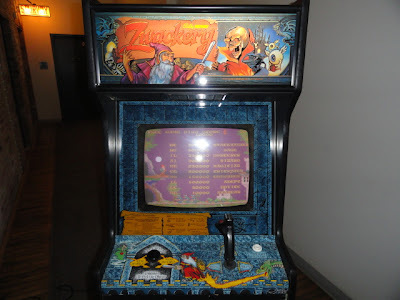 They don't come much rarer than this 1986 machine by Bally/Midway - Zwackery. I never saw one in person until two weeks ago and my interest in the machine sparked a trade deal and a week after that, here we are! 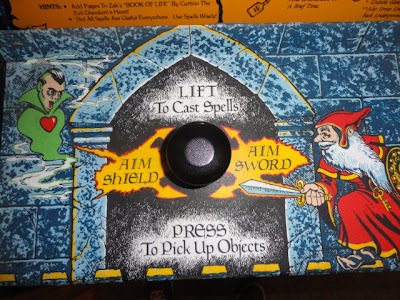 It's a strange game with controls similar to Discs of Tron. But where the Discs of Tron controls are somewhat intuitive, Zwackery's are not. You control your character with a flight stick and a spinner, which can be pushed down and pulled up. The flight stick also has a thumb button and a trigger, making it pretty difficult to get use to the controls. The game even has a tutorial right off the bat to get you familiar, but it will take more time than that to get good. 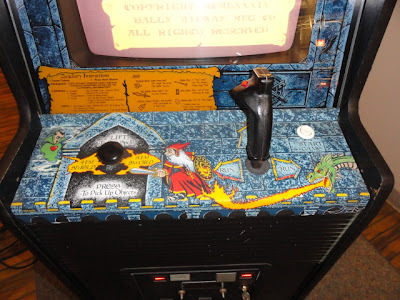 I played about a dozen games the second night I got it and at that point, I had a pretty good feel for the controls and what they do. I could even slay the enemies I wanted to instead of flailing about, but I hadn't even started in on the spells, of which there are a few. It's pretty intimidating, but a very unique and eventually, a very rewarding game. 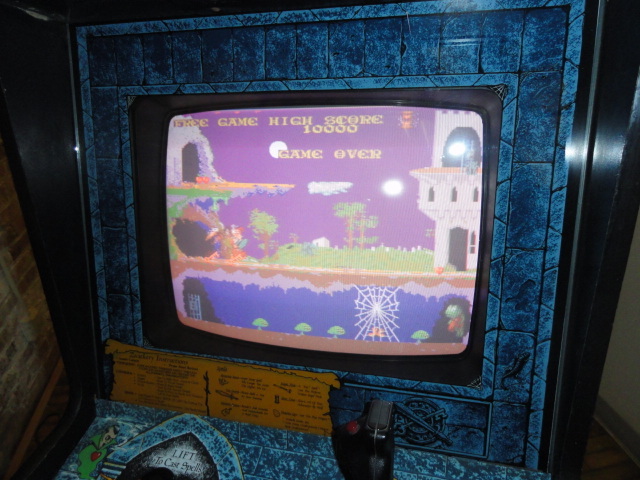 The graphics are just stellar and very advanced - I believe this was the very first 32 bit game in the arcades. It's fantasy themed, a swords and sorcery side-scrolling adventure. I haven't really got that far in the game, mostly due to playing a lot of C&D right now, but its an interesting game and one I will have to play a bit more when I can pry my fingers off the C&D. I may not get the chance though as it is up for sale currently at KLOV and there is an offer pending and a few interested parties, so we shall see. I was really on the fence about this being a keeper or not, but I think I will be happier with a pinball machine in the collection as I seem to be gripped by late 1970's/early 1980's pins at the moment. Awesome!! 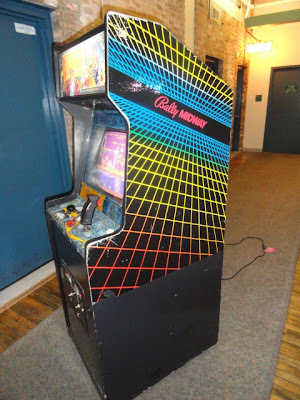 Played this game like crazy for a brief period in High School in the mid-80s...before it mysteriously disappeared from the local arcade. I have the silk-screed glass marquee I got from a machine that was parted out. It's located in Chicago, but there is a deal pending on it - waiting to hear back from the guy. 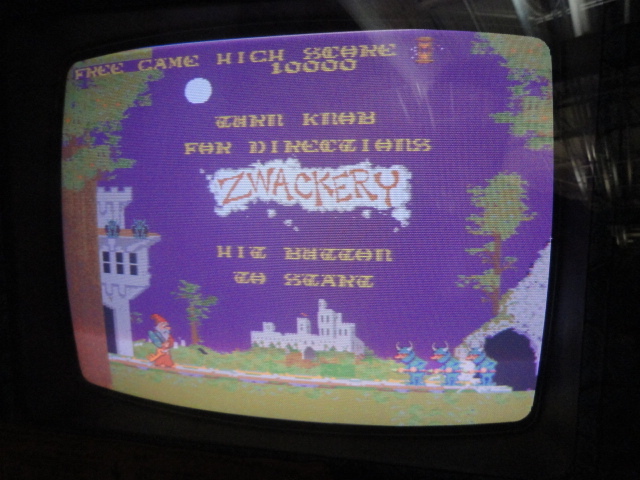 And the Zwackery is sold - didn't take long. Cool game, but I am way to full up on arcades. Rarities also scare me because if something happens, spares may be rare as well, and you lose a chunk of the value of the game.